Our planet is covered by an incredible number of plants, including beautiful flowers, vegetables, huge trees, and tiny algae in water, which have speciated through a long history of evolution. 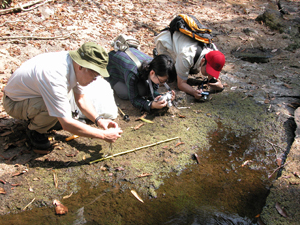 All organisms exist in biodiversity, and they cannot survive without interacting with other organisms. As a species, humans receive the greatest benefit from other organisms. The mission of the Tsukuba Botanical Garden is to understand and conserve, as well as convey the concept of, plant diversity to maintain human life in the future. 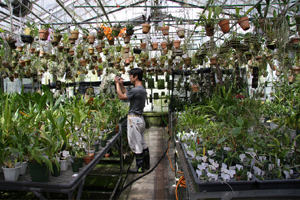 To explore how plant diversity was created and maintained, and to understand their taxonomic status, the Tsukuba Botanical Garden conducts studies on the history of each plant species. In recent years, plant diversity has been decreasing, and we must conserve plant diversity for our future. The Tsukuba Botanical Garden, especially ex site, conserves endangered species. Conservation of plant diversity depends on how many people understand and respect the concept of biodiversity. 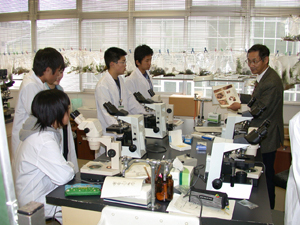 The Tsukuba Botanical Garden holds many events explaining what diversity is, why it is important, and the status of diversity loss in the present day.